Mohsin Raza said the former chief minister posted photos from the Kumbh organised by the BJP government led by Yogi Adityanath. "We also want him to post photographs of the Kumbh which was organised when he was chief minister (2012-2017) and Azam Khan was urban development minister." The UP minister said the ongoing event has become synonymous with cleanliness. 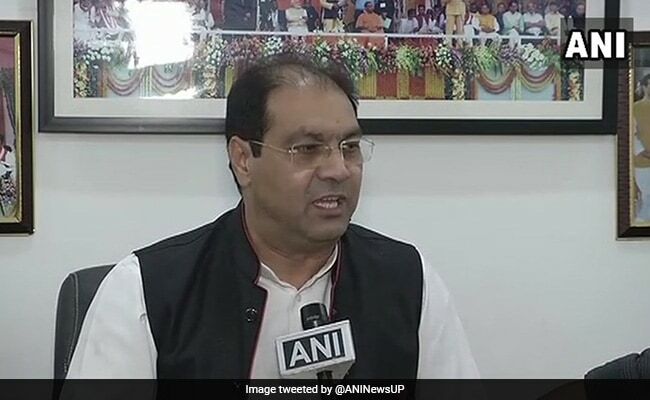 Uttar Pradesh minister Mohsin Raza on Monday claimed that the 2019 Kumbh venue is cleaner compared to the 2013 event, and even the "Ganga is shining as bright as a pearl this time", as he asked SP chief Akhilesh Yadav to post pictures of him taking a dip during the previous mela to prove his point. Mr Yadav had recently posted on social media photographs of him taking a dip in the Ganga during the ongoing Kumbh mela. Mr Raza said the former chief minister posted photos from the Kumbh organised by the BJP government led by Yogi Adityanath. 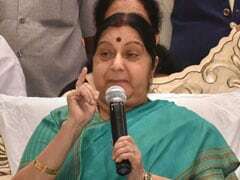 "We also want him to post photographs of the Kumbh which was organised when he was chief minister (2012-2017) and Azam Khan was urban development minister." Mr Raza "advised" Mr Khan to visit the Kumbh mela venue and see "how a mega event like this is organised". "I would like Akhileshji to post his photos (if any) of taking a dip during the 2013 Kumbh. This time the water of Ganga was shining as bright as a pearl. The difference will be clearly visible," the Minister of State for Muslim Waqf and Haj told PTI in an interview. The Kumbh is an example of the strong willpower of the government and Chief Minister Yogi Adityanath himself monitored it, he said. "My advice to Azam Khan is that he go to the Kumbh Mela area and see how a mega event like Kumbh is organised," Mr Raza said, and accused the Samajwadi Party leaders of indulging in appeasement politics. The UP minister said that unlike the previous Kumbh, the ongoing event has become synonymous with cleanliness. "This has been clearly reflected in this Kumbh," Mr Raza said. He said that Sangam, the confluence of the Ganga, the Yamuna and the mythical Saraswati, is not only a point of confluence of rivers, but also symbolizes the confluence of tehzeeb (culture). "I felt as if I am visiting the heaven on earth," he said of his visit to the Kumbh. He lauded the Yogi government for "successfully" organising the Kumbh Mela. Almost all the works pertaining to the Kumbh were accomplished by the UP government in a record time, he said. "Our endeavour is that the visitors and devotees return to their homes happy and with pleasant memories of the place and the event," Mr Raza said.